The future of NHS services – what would you do? People across Hull and East Yorkshire are being invited to have their say on how local health services could be improved for the coming years. The NHS Long Term Plan, published in January 2019, outlines how the NHS will improve patient care and health outcomes over the next 10 years. It also requires regional partnerships to develop their own five-year plans which outline what changes are required in the local area to make health and care services better for the people who use them. Hull University Teaching Hospitals NHS Trust is now working as part of the Humber, Coast and Vale Health and Care Partnership to develop a plan to deliver the requirements of the NHS Long Term Plan in the Humber, Coast and Vale area – Hull and East Yorkshire, North and North East Lincolnshire, Scarborough and Ryedale and the Vale of York. To help ensure the public, patients and those using care services are able to influence the plan, local Healthwatch organisations – led by Healthwatch East Riding of Yorkshire – are undertaking a piece of work specifically around the NHS Long Term Plan. 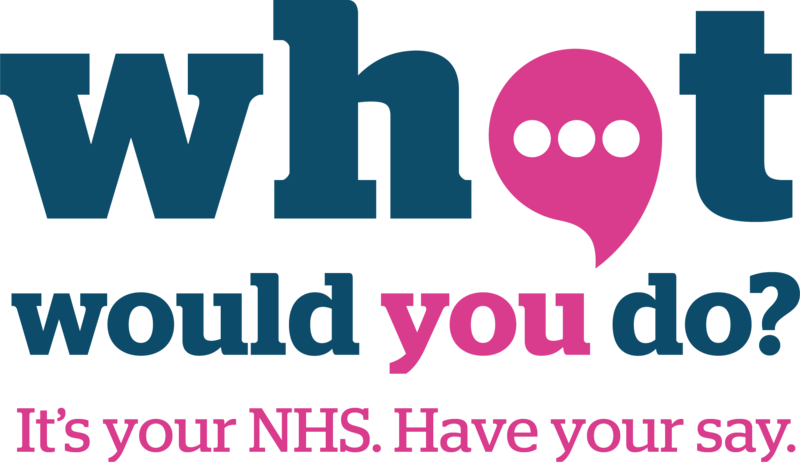 Their #WhatWouldYouDo campaign runs until the end of April and consists of online surveys and a range of face-to-face engagement events. “We know that the NHS only works when people’s voices are heard. This is a once in a generation chance for local people to help decide where this extra money from Government should be spent in our NHS services.